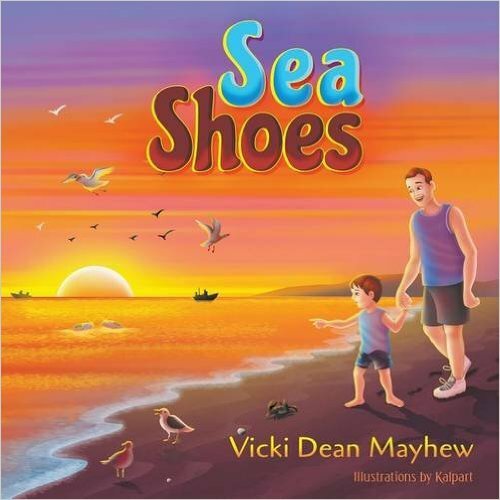 Sea Shoes is the charming children’s story about the travels of a pair of shoes. A little boy and his father are walking on the beach when the boy decides to walk barefoot. Suddenly, his shoes are swept out to sea and the shoes begin an amazing journey. Many animals find the shoes and attempt to use them. A starfish cannot fit them on his arm. Dolphins play with them, but cannot ring them on their fins. The octopus cannot eat them. A walrus cannot fit them on his tusk, and they don’t fit a polar bear’s paws. The shoes travel through beautiful lagoons, stormy seas, shipping lanes, and icy waters. When a family of whales happens upon them, they make up a magical song about the adventure. Many years later, a man and his young son are walking on the beach. The man remembers when he used to walk there with his father. The shoes wash up on the shore, and the little boy is thrilled to find that they fit him perfectly. Explore the magic and mystery of the sea, as the Sea Shoes travel to all the beautiful places the world has to offer. This timeless tale tells of the love between parent and child, the sharing of dreams, and how the family circle is completed. Vicki Dean Mayhew grew up along the Rio Grande River Valley. “I still live in my hometown. New Mexico has the bluest skies and prettiest sunsets you have ever seen. 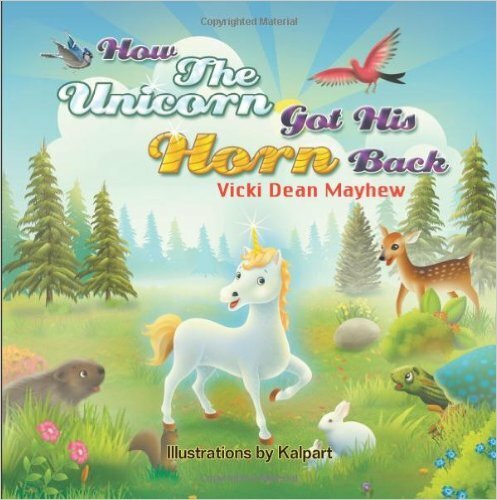 We have beautiful forests and deserts, and an incredibly diverse population consisting of people of many cultures.” Her first book was How the Unicorn Got His Horn Back.